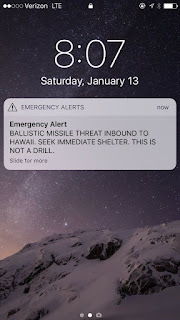 On December 1, 2016 Alex Wellerstein, a historian of nuclear weapons at the Stevens Institute of Technology in Hoboken, N.J. wrote a piece for the Washington Post explaining how and why the whole system was set up so the president — and only the president — could decide when to launch. 1) The bill did not pass. THIS is why Trump needs to be removed from office. When we don’t have laws, just norms, and someone NOT normal is in charge, we are in trouble. 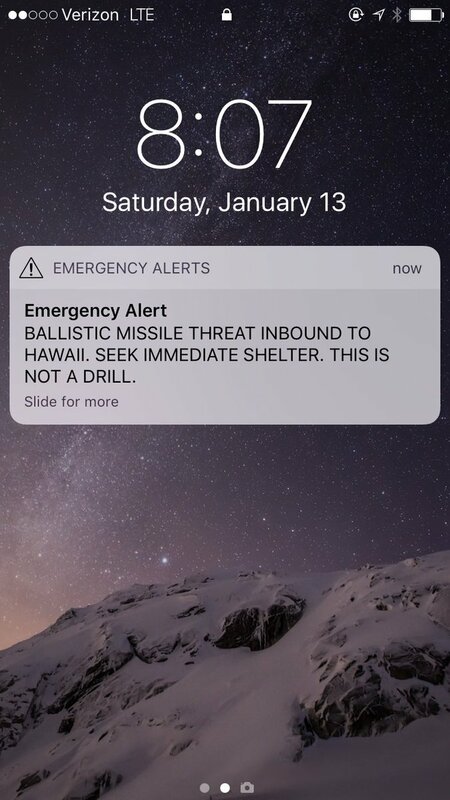 This Hawaii example is exactly what I was talking about in my earlier piece about Trump’s nuclear tweets. WE NEED TO FIX THIS NOW. A psychiatric test needs to be requested by congress and then administered. One already exists, it is given to the military who are in charge of launching the missiles. I want to politicize this mistake. We can ask, “Why this mistake now? Are there people running the defense industry who know how scary it is to have Trump in charge, so they let this slip? Did they do this at this time because they KNEW he was on the golf course? (But wouldn’t his team have gotten to him instantly with the news, and the nuclear football?) But let’s not focus on the parts that might be conspiratorial. Let’s use this as an opportunity to change laws, and get Trump out of this position of power over the life or death of millions. Someone should revive Grayson’s bill. Maybe Hawaii Rep. Tulsi Gabbard from Hawaii. She’s motivated. We dodged a nuclear bullet today. Let’s not blow this.